The hothouse climate of the early Paleogene and the associated violent carbon cycle perturbations are of particular interest to understanding current and future global climate change. 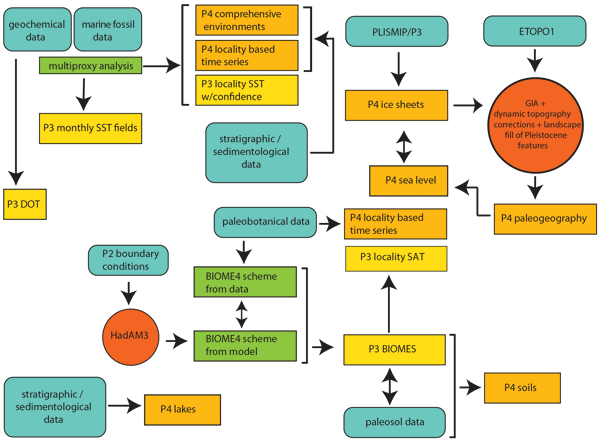 Using dinoflagellate cysts and stable carbon isotope analyses, we identify several significant events, e.g., the Paleocene–Eocene Thermal Maximum in sedimentary deposits from the Otway Basin, SE Australia. We anticipate that this study will facilitate detailed climate reconstructions west of the Tasmanian Gateway. Igneous intrusions in sedimentary basins have a profound effect on the thermal structure of the hosting sedimentary rocks. In this paper, we present a user-friendly 1-D FEM-based tool, SILLi, that calculates the thermal effects of sill intrusions on the enclosing sedimentary stratigraphy. The motivation is to make a standardized numerical toolkit openly available that can be widely used by scientists with different backgrounds to test the effects of magmatic bodies in a wide variety of settings. The Infrared Atmospheric Sounding Interferometer (IASI) can be used to study volcanic emission of sulfur dioxide (SO2), returning both SO2 amount and altitude data. 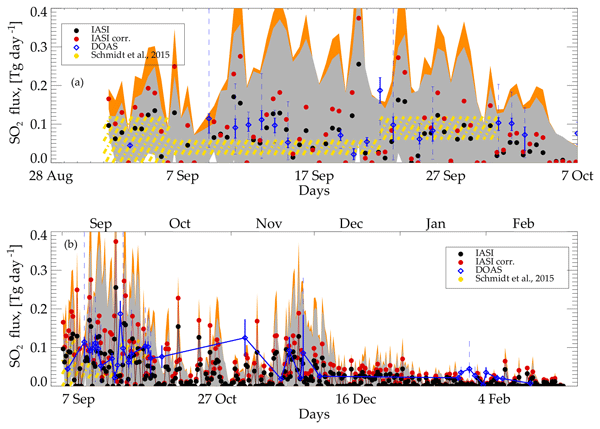 The series of analyzed eruptions (2008 to 2012) show that the biggest emitter of volcanic SO2 was Nabro, followed by Kasatochi and Grimsvotn. Our observations also show a tendency for volcanic SO2 to reach the level of the tropopause. This tendency was independent of the maximum amount of SO2 and of the volcanic explosive index. We present a high-resolution multi-proxy study of the Norwegian Sea, covering the 5.33 to 3.14 Ma time window within the Pliocene. We show that large-scale climate transitions took place during this warmer than modern time, most likely in response to ocean gateway transformations. Strong warming at 4.0 Ma in the Norwegian Sea, when regions closer to Greenland cooled, indicate that increased northward ocean heat transport may be compatible with expanding glaciation and Arctic sea ice growth. Past intervals in Earth history provide unique windows into conditions much different than those observed today. We investigated the paleoenvironments of a past warm interval (~ 3 million years ago). Our reconstruction includes data sets for surface temperature, vegetation, soils, lakes, ice sheets, topography, and bathymetry. These data are being used along with global climate models to expand our understanding of the climate system and to help us prepare for future changes. We show that seawater pH exerts a substantial control on planktic foraminifera Mg / Ca, a widely applied palaeothermometer. As a result, temperature reconstructions based on this proxy are likely inaccurate over climatic events associated with a significant change in pH. We examine the implications of our findings for hydrological and temperature shifts over the Paleocene-Eocene Thermal Maximum and for the degree of surface ocean precursor cooling before the Eocene-Oligocene transition. Re-examination of a Deep Sea Drilling Project sediment core (DSDP Site 277) from the western Campbell Plateau has identified the initial phase of the Paleocene-Eocene Thermal Maximum (PETM) within nannofossil chalk, the first record of the PETM in an oceanic setting in the southern Pacific Ocean (paleolatitude of ~65°S). Geochemical proxies indicate that intermediate and surface waters warmed by ~6° at the onset of the PETM prior to the full development of the negative δ13C excursion.